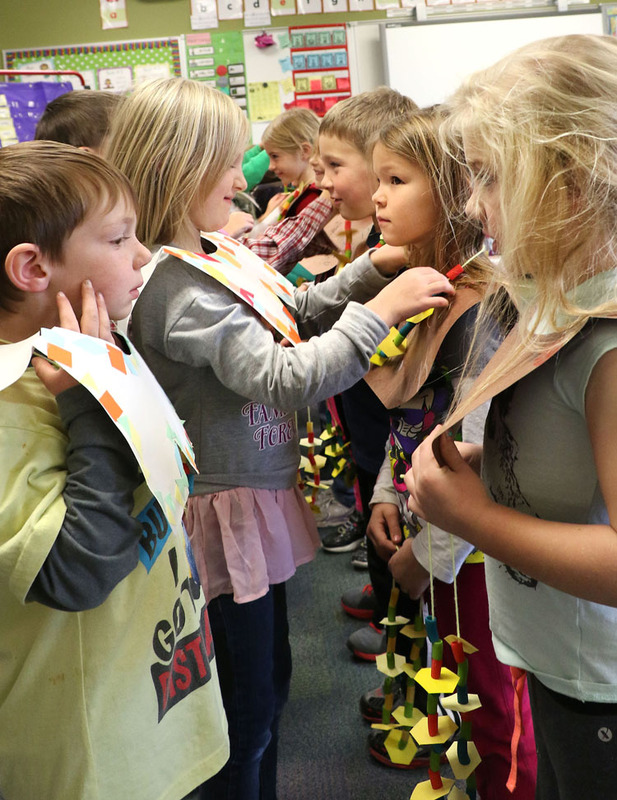 Callie Arnold’s students dressed as pilgrims and Native Americans share friendship bracelets. 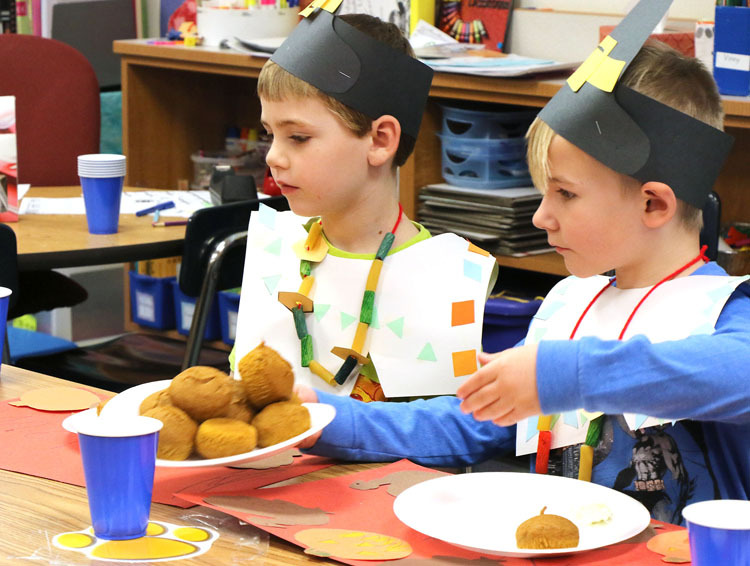 North Kindergarteners learned about Thanksgiving by creating clothing and friendship necklaces and by preparing and sharing their own Thanksgiving Feast. 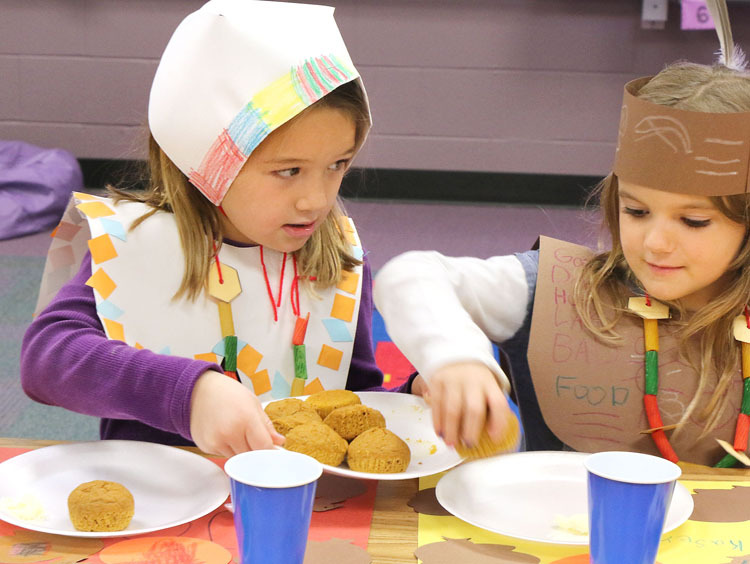 The feast began with children dressed as Pilgrims and Native Americans sharing friendship bracelets. The classrooms were filled with the aroma of the freshly baked corn and pumkin muffins that the students prepared themselves. Kindergarten teacher Tracie Custer said her students learned that making butter takes a lot of shaking and a lot of time. 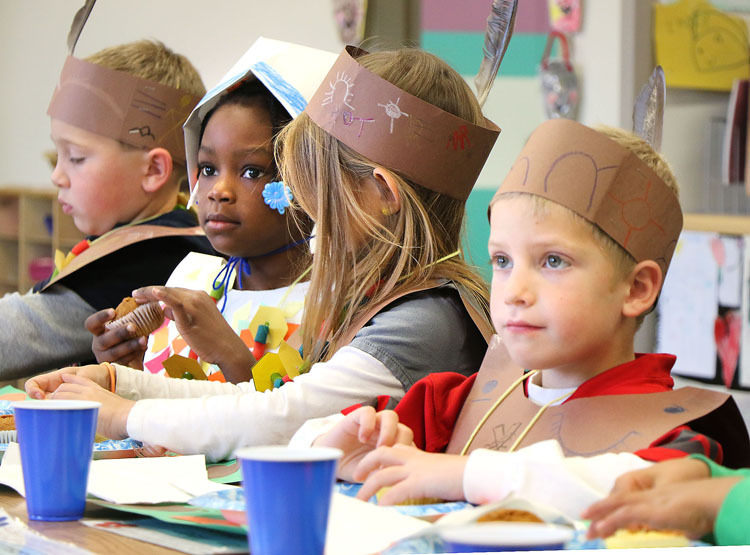 Kindergarten teacher Callie Arnold said her students learned a lot because they were so involved in preparing every part of the feast. 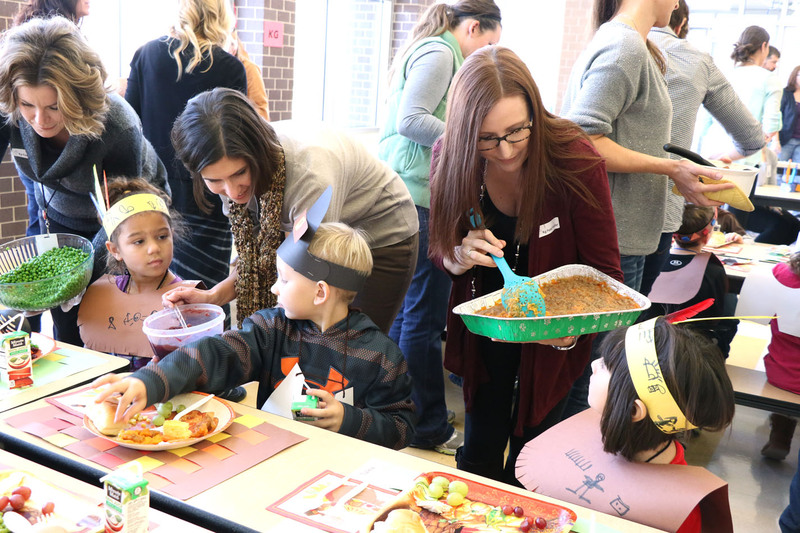 Tucker Storjohann, Sharai Zollicoffer, Aivree Ward and Will Meier share a Thanksgiving Feast of corn and pumpkin muffins and fresh butter that the students prepared themselves. From left: Braylee Duckworth, Viny Wilson, Josie Kros, Kasey Cottle and Anthony Turvey all raised their hands to say that they helped prepare the feast. Liem Taylor and Braxton Davis pass a plate of home made pumpkin muffins. Josei Kros passes a plate of pumpkin muffins that the students made themselves for their Thanksgiving Feast. 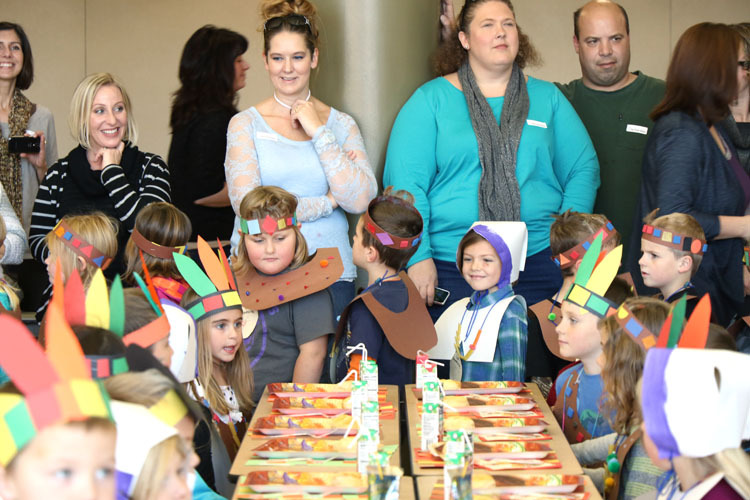 Kindergarten students at Deerfield and South also studied about Thanksgiving and shared a traditional Thanksgiving meal served and prepared by the student’s parents. Dressed in Native American clothing, Lisa Lindau serves up green beans to her daughter Lucy. 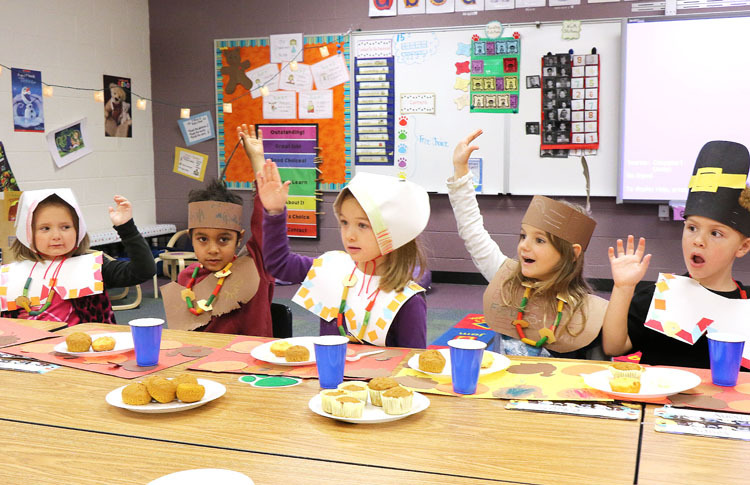 Deerfield kindergarten students learned about Thanksgiving and shared a Thanksgiving feast on Monday. 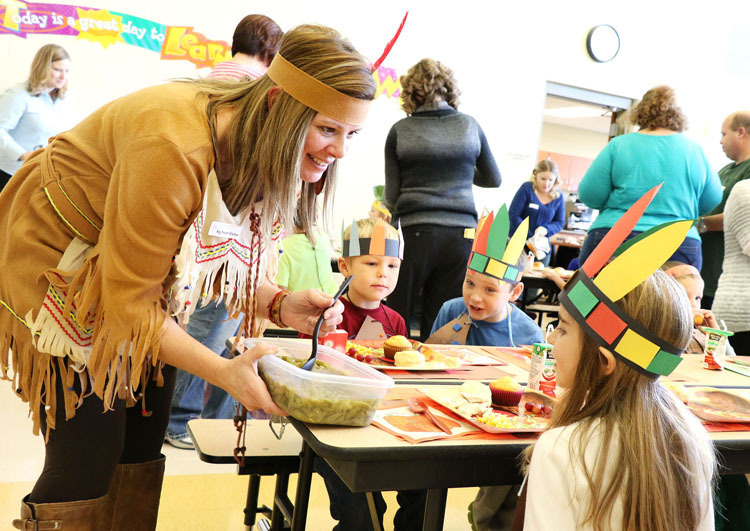 Parents watch as Deerfield and West kindertan students enter the cafeteria in Pilgrim and Native American dress.